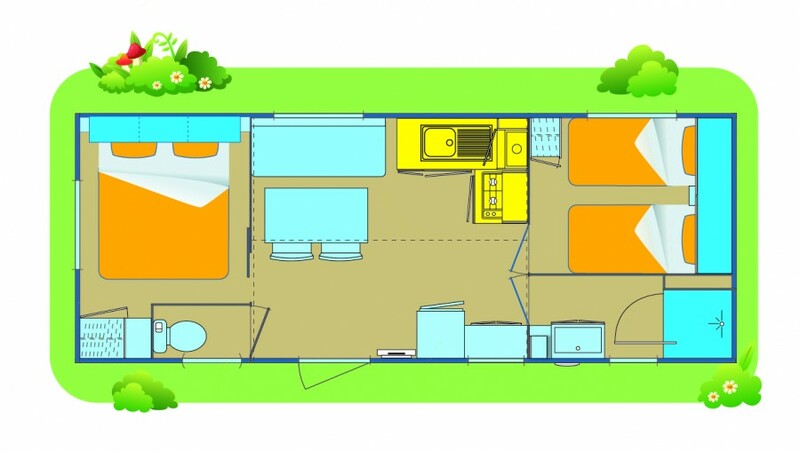 This type of accommodation has a light and airy feel with a modern design and can accommodate up to 6 adults. The modern kitchens is composed of a fridge (which has a small chiller compartment), a 4 ring burner hob and a sink. 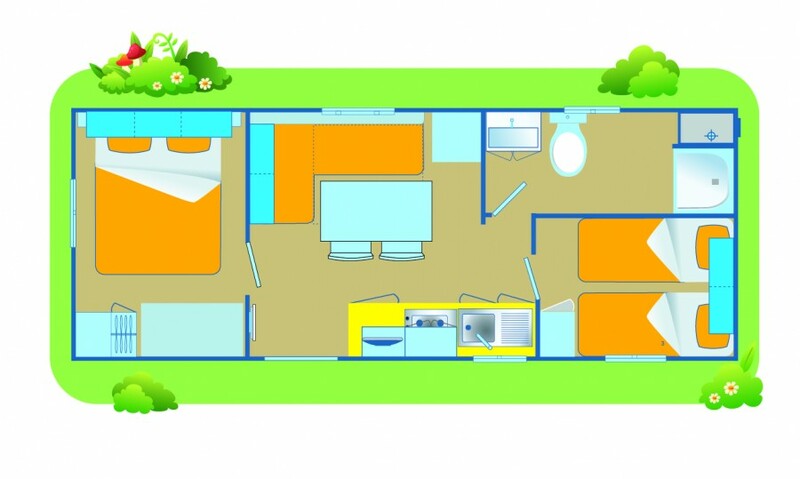 There are also a double bedroom and a twin bedroom, and a living area with double sofa bed. 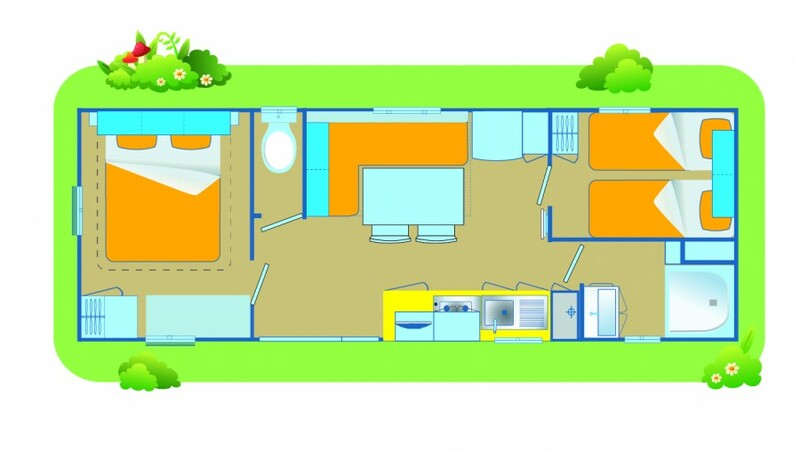 There is also a bathroom with sink, shower and toilet (in some of the mobile homes the toilet is in a separate room). Outside you will find the traditional layout with garden furniture: table and chairs, a parasol, two 2 sunbeds or reclining chairs and a barbeque (where permitted by the campsite); which can be a charcoal or gas barbecue or an electric grill. For each campsite we specify which mobile homes are available together with information regarding terraces, awnings or gazebos. The parasol outside the mobile home won't be supplied where the accommodation is already equipped with a covered terrace, an half-covered terrace, an awning or a gazebo. All Happy Camp accommodation is non-smoking.